Koelewijn & Partners advises and supports franchise organizations in every stage of development. Whether your organization aims for higher returns, growth or continuity, we work towards win-win solutions for both franchisees and franchisors. For over 20 years we have helped franchise organizations in every stage from the initial concept to operational support. We know the core themes of franchising, safeguard the cohesion in your organization and think ahead. – Guides starting and established franchise organizations, from SME to multinational. – Supports groups and individual franchisees. – Takes care of recruitment of franchise management (franchise directors, management and coaches). – Has experience in retail, (financial) services, food, healthcare and wholesale. – Has helped over 1,000 organizations and is a partner for over 75 franchise formulas a year. 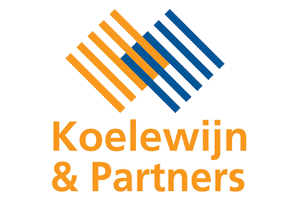 Koelewijn & Partners fulfils a stimulating role in the market with innovative products and inspiring initiatives and works with professional partners to achieve the best results. Drs. Albert Koelewijn is initiator of Koelewijn & Partners (in 1988). He is organizational consultant and sworn franchise agent. He has been active as an organizational consultant since 1978, first in retail and later in wholesale. From 1986 onwards, he has specialised in setting up and assisting commercial cooperations, especially franchising.